This group manages the operations of the DTAA, including phone and email enquiries and membership and provides administrative support for PD events. This group plans and oversees the DTAA’s regular conferences. The DTAA competency project involves the development of competency standards for Australasian dance movement therapists. Competency standards are an important professional benchmark for Australasian dance movement therapy. They are used to assess the skills and knowledge that a person must demonstrate in the workplace to be seen as competent. When finalised and endorsed, the DTAA Competency Standards will not only define the requirements for effective workplace performance of Australasian dance movement therapists and the criteria for professional membership of DTAA, but they will also offer a platform for defining learning outcomes and assessment benchmarks for dance movement therapy training. This group will establish and monitor standards for DMT training and education programs. It is not currently active while the Competency Standards are being re-developed. Expected re-activation early 2019. This group runs the Hanny Exiner Memorial Foundation, including grants for research and professional development; awards the HEMF Achievement Award; and selects a prominent DM therapist to present the HEMF address at the DTAA’s conferences. More about HEMF. This committee publishes the DTAA’s biannual journal Moving On, the monthly e-news Current Moves to DTAA’s subscriber list, and DT Collections books from time to time. This group works to promote dance movement therapy and the DTAA outside the profession, including overseeing the website. Contributors include Heather Hill (website), Natalie Poole (Facebook). This group was established to research the implications of the new NDIS system for dance movement therapists and DMT. It aims to advocate for dance movement therapy to be included in the options of recognised professions to deliver services to NDIS clients, and provide information to DTAA members re potential avenues for funding support through the NDIS, which may include registration processes for individual therapists and other options. Members Cecilia Lau, Sandra Perrin and Kim Dunphy. This scommittee is responsible for planning and running professional development activities for members, and others interested in dance movement therapy. These activities address the strategic objectives of the DTAA for its members, and also take advantage of opportunities from visiting experts to ensure DM therapists stay abreast of latest developments in our own and related professional areas. It identifies the number of PD points for each PD activity. See DTAA Events. This committee manages enquiries and applications for all levels of membership which now includes Associate, Provisional Professional and Professional level membership; and is pro-active in mentoring members through these levels. It regularly monitors and upgrades the criteria needed to reach the required standards for each membership level so that the DTAA is aligned with the other psychotherapeutic and counselling professions. It audits members’ supervision and PD documentation. The committee also liaises with the Professional Development Committee to address the overlapping concerns regarding professional development needed for continuing education requirements. This committee also undertakes business related to DTAA’s membership of PACFA (Psychotherapy & Counselling Federation of Australia). More about membership. These individuals represent the DTAA in their regions. Their responsibilities are to promote DMT in their region as opportunities allow and respond to local enquiries. Regional reps attend GC meetings by Zoom from time to time. See Contact page. This promotes evidence-based practice and practitioners’ skills by advancing research in and about dance movement therapy. It also works with members to engage with professional learning in fields outside of DMT that can strengthen body-based theory and practice. This year, conveners Sue Mullane and Ella Dumaresq will host a series of online discussion forums that engages us with research. The group will foster a friendly, energised, ‘book-club’ style experience in an open, inclusive, and yet rigorous manner. Participants will take part in a group discussion via Zoom to address questions based on a chosen article relevant to DMT research. Research articles will cover a wide range of topics and include studies from both qualitative as well as quantitative research traditions. Members of the DTAA are encouraged to join in any of these monthly forums as they are interested. There is no need to commit to attend every month, and no previous experience as a ‘researcher’ is required. Advanced notice of each article and questions for discussion will be advertised via the DTAA e-Moves bulletin, with members obtaining access to the Zoom link through the Members’ page. 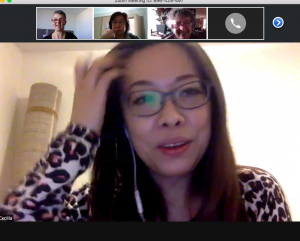 The Research Committee Convenors look forward to connecting with members new and old as we grow our research community each month. The Forum will meet on the last Wednesday of each month, February thru to November, from 7.30-8.30 pm. Co-Convenors Sue Mullane and Ella Dumaresq. E. Connor Kelly, Masters in Dance/Movement Therapy New York University (USA), Board Certified Dance Movement Therapist (USA), Licensed Professional Counselor (Colorado, USA), DTAA (Prof. DMT), currently resides on the island of Guam, USA. She spent the past 12 plus years in New Plymouth, New Zealand, working with head-injured adults and having a small private practice. Her experiences include working with developmentally disabled adults and children, frail elderly, children and families, and adults. She studies and facilitates Authentic Movement (30 years), Bartenieff Fundamentals, Body Mapping and Physical Storytelling, (co-created with Dr Steve Harvey), contributed to various community dance projects/performances and also teaches yoga. 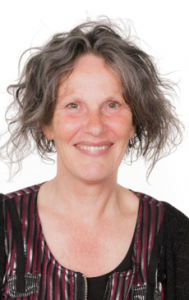 She has lived in four countries and taught in various dance movement therapy programmes as well as supervising students and professional dance movement therapists. She has authored and co-authored several articles and presented at numerous conferences. 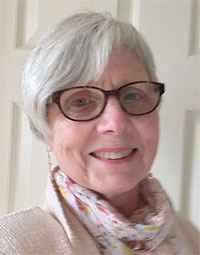 A La Leche League Leader for more than 20 years, over the past 12 years in New Zealand she has helped to accredit new leaders and review books. For 10 years she was a consumer representative for NZ College of Midwives Standards Review Team. Previous ADTA committee work includes President of two USA chapters, past Education Chairperson for ADTA as well as Programme Committee Chairperson of the ADTA for the NCATA conference in 1990 in Washington, DC. She has supported the work of the DTAA over many years through her involvement in a number of committees. Sandra Lauffenburger, B.Ed., M.Sc., Assoc. Degree (Dance), Cert. Laban Movement Analysis, LIMS ,Dip. Dance/Movement Therapy IDTIA, Dip. Adult Psychotherapy, Grad Dip. Psychology, B.Soc.Sci. (Hons Psych); DTAA (Prof. DMT), is interested in the importance of and application of non-verbal communication and its use in psychotherapy. 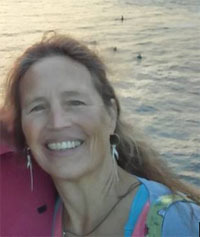 She has worked in private practice since 1985, originally as a movement therapist and later as a dance movement psychotherapist and somatic movement psychotherapist. 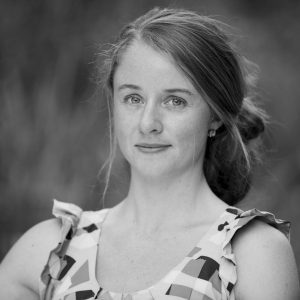 As a Certified Laban Movement Analyst, she has taught in dance movement therapy programs for the Wesley Institute, (Drummoyne, NSW and Canada), the IDTIA, and Tensegrity Training’s Graduate Certificate in Movement-based Somatic Therapy. She also provides movement therapy/psychotherapy supervision for graduates of many somatic/movement therapy training programs. Sandra has always been keen to promote the value of dance/movement/nonverbal therapies. Her recent publications include a chapter in the edited collection Counselling and Psychotherapy Works published by PACFA (2015) and an article in the peer-reviewed Journal of Body, Movement and Dance in Psychotherapy (2016). She believes it is important for those who have benefited from working in this field to give back to our profession, and to that end, she contributes her various skills to the DTAA. Sue Mullane, M. Ed (DMT), Grad. Dip Movement & Dance, B.Ed., DTAA (Prof DMT), is an experienced special educator and dance movement therapist. She has worked with a focus on disability and trauma with adults and children in a variety of health, community and educational settings in NSW and Victoria. 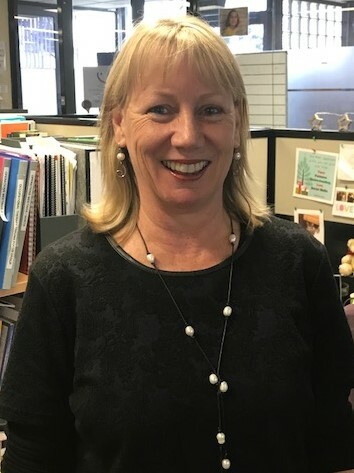 Her five-year collaboration with Sarah McGregor, developing group movement programs for women at the South-Eastern Centre Against Sexual Assault (SECASA), Melbourne, Australia, was documented in her M. Ed research project. She has also completed independent and collaborative research projects with Kim Dunphy on the assessment of DMT in school-based therapeutic movement programs for special needs students. For many years, Sue studied improvised movement under Al Wunder which developed into a lifelong fascination with the art form and an ever-deepening appreciation for what it may contribute to artistic, educational and therapeutic processes. This led to Sue developing a model for shared improvised movement which she has dubbed “the accompanied solo”. This model is now the focus for her current PhD research at Deakin University, Melbourne. Using an embodied, artistic, practitioner-led methodology with conceptualizations taken from existential thinking and the writings of Maxine Sheets-Johnstone and Donna Haraway, Sue is inquiring into what occurs for the participant, the facilitator, and the two together within the accompanied solo. Ella Dumaresq, B.A Hons. Anthropology/German Studies; Dip. Dance Movement Therapy; DTAA (Prof. DMT), is currently undertaking a PhD study in dance movement therapy with the Creative Arts Therapies Research Unit at University of Melbourne. Ella’s research interests include the use of dance movement therapy as a community-based, collaborative practice with women exiting prison. As part of her research study, Ella is hoping to partner with a community organisation that supports women post-release to explore women’s experiences and perceptions of transitioning from prison into community through dance movement therapy. Ella also draws on theories of embodiment from dance movement therapy, feminist studies and philosophy to explore how ‘thinking’ is a full-bodied act, and the implications of this for emerging academic pursuits. As a practitioner, Ella works with residents in aged care experiencing dementia. This has recently included partnering with a music therapist to explore the synthesis of music and dance therapy with residents within a ‘memory support’ unit. Ella has also worked as a community dance teacher with adults with disabilities, as well as with children.